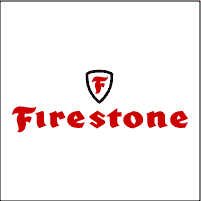 On the morning of April 21, 70,000 rubberworkers, members of the United Rubber Workers union (URW) struck the nation's Big Four tire producers Firestone, Goodyear, Goodrich, and Uniroyal. In Des Moines, some 2,200 workers walked out of the Firestone Tire and Rubber Company, located north of town. Expecting a long strike, the rubberworkers have expressed a willingness to stay out as long as it takes to win a substantial settlement. The old contract, negotiated during the Nixon wage control period, left the union membership a full 10% behind inflation. Consequently, an increasingly militant rank-and-file is putting considerable pressure on the union leadership to demand immediate catch-up raises and an unlimited cost-of-living allowance. Also at issue is job security. Over 10,000 rubberworkers are now on layoff due to the recession. The union is demanding supplemental unemployment benefits and is seeking to equalize pay scales and work rules at the widely dispersed plants of the Big Four. In Des Moines, Firestone has obtained an unlimited "temporary" injunction that limits the union to four pickets per gate. In a graphic example of how big business and the government work together, Polk County District Judge Anthony Critelli also issued orders prohibiting pickets from preventing Firestone executives, suppliers or scabs from entering or leaving the plant. Thus, the government has lined up on the side of the company in seeing that production (in some form) continues. Although there is a great deal of rank-and-file militancy, there is no organized national rank-and-file movement in the URW. Consequently, rank-and-file demands will most likely not be met as the union bureaucracy is expected to knuckle under to government and industry pleas to not "jeopardize economic recovery" with "inflationary wage demands". If this happens, however, the union will be vulnerable to a determined rank-and-file challenge.